Zane Benefits, which provides small businesses with comprehensive and flexible health reimbursement arrangements, today announced it had published a free white paper named “Health Reimbursement Arrangements (HRAs) 101” to provide insurance professionals, CPAs and small businesses simple ideas on how to offer better health benefits online. 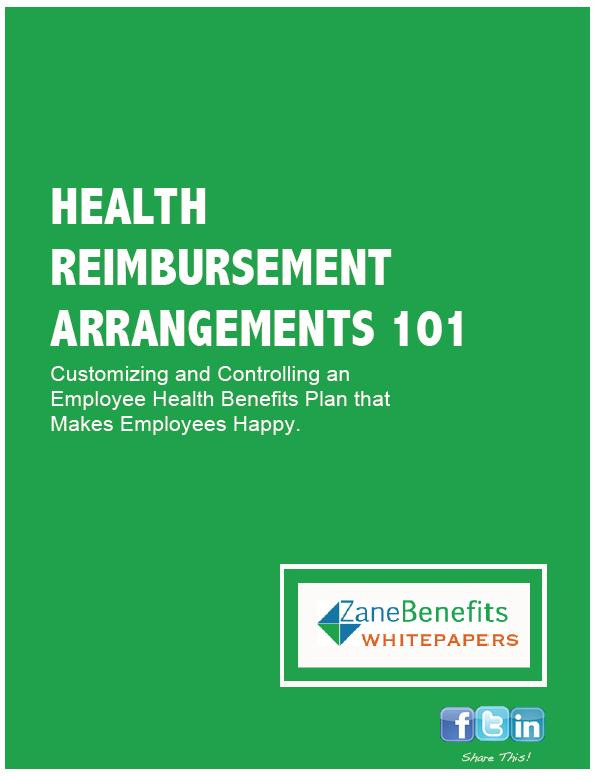 According to the Zane Benefits website, health reimbursement arrangements (HRAs) are the future of health benefits because they provide the basis for defined contribution health benefits. With health care reform taking full effect in 2014, defined contribution health plans are expected to become a mainstream employee benefit.